It’s the holiday season and while everybody’s busy celebrating the end of the year to welcome 2014, things doesn’t stop at TCL, or Alcatel to most of us. The company yesterday took the curtains off its Idol X+ that, for the first time ever, is powered by an octa-core MT6592 clocked at 2GHz, made possible by an exclusive deal the company has with MediaTek. Other specs include 2GB of RAM, 5” Full HD IPS display with a slimmer 1.9mm bezel, 13MP f/2.0 rear camera, and because of a larger battery capacity of 2,500mAh, the device is now slightly thicker at 7.9mm which should actually give you a better grip compared to the very slim Idol X. The device will also come with a Bluetooth activity tracker called the Boom Band, that wraps around the wrist and is able to track the users’ sleep activity, and has a proximity alarm that rings when you are too far away from your phone. 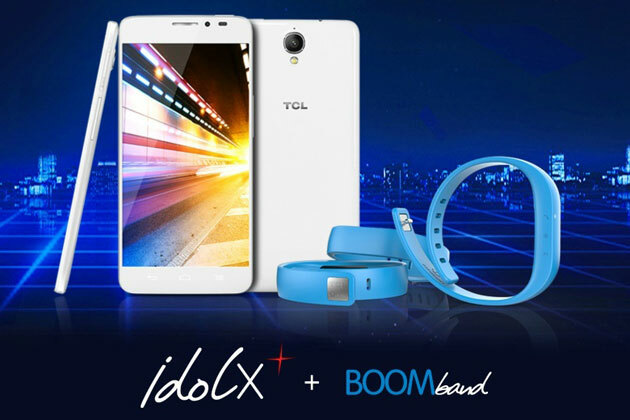 The Boom Band will be bundled together with the Idol X+ for a retail price of CN¥1,999, approximately RM1,090. No word on whether the device will make it out of its home country but if it does, it’ll definitely be something worth looking forward to.